Do you ever wake up itching like crazy? Have you ever discovered unidentified bug bites on your body and wish you knew how you got them? Bugs like mosquitos and bed bugs can swoop in and feed on your blood before you ever knew they were there. You probably wish that you could find the pest responsible and get it out of your house, right? If you identify with this problem, you’re not alone. 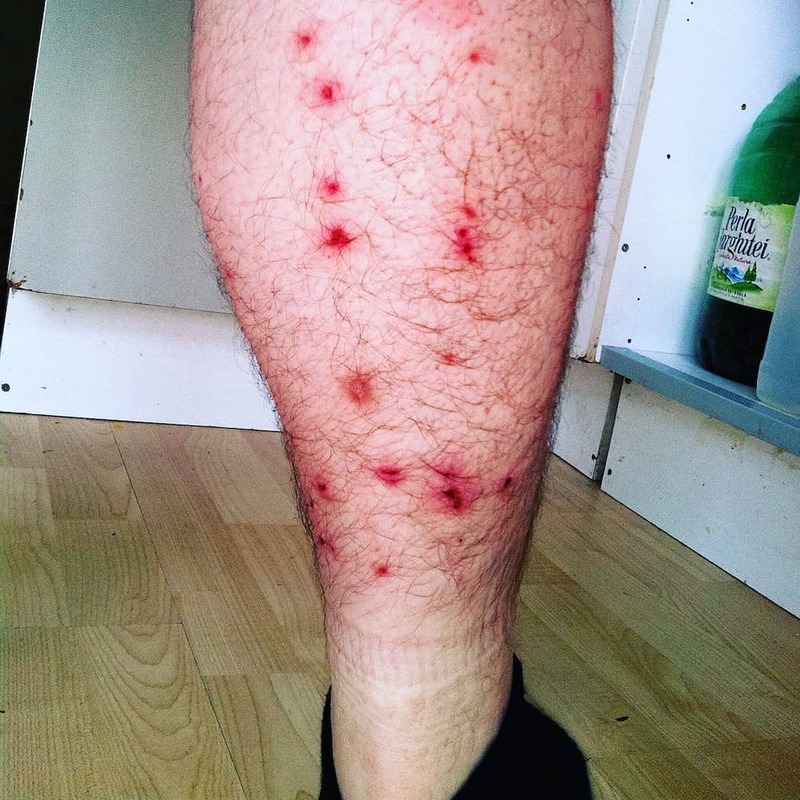 Many people wake up every day to discover annoying bug bites on their bodies and try to distinguish the difference between mosquito bites vs bed bug bites. The only way to get rid of annoying pests and treat their bites is to know which one you are dealing with. The good news is you can wake up without that itching and figure out where your bug bites are coming from so you can get rid of them. Here’s how. What Are The Differences Between Mosquitos And Bed Bugs? Do Mosquito Bites & Bed Bug Bites Hurt? How Long Do Mosquito Bites & Bed Bug Bites Take To Heal? You can see some distinct differences between mosquitos and bed bugs. In fact, it’s unlikely that you would confuse the two if you saw them. 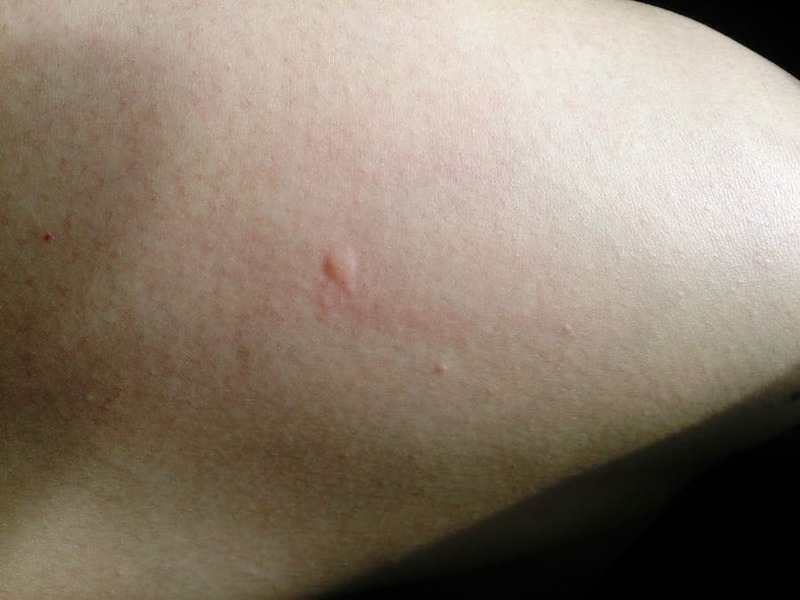 Unfortunately, when you end up with bed bug or mosquito bites, you don’t always see which insect left them, and the bites themselves look extremely similar. Mosquitos are small flying insects with a long body and a distinct proboscis. The proboscis is a probe-like mouth organ that is used to pierce the skin and withdraw blood from blood vessels. It used to be likened to a needle, but the whole process is actually more complex than that. Bed bugs are also small but have a flat, oval body shape, unlike the long cylindrical body of the mosquito. These bugs cannot fly. They can’t even jump. They move entirely by crawling with their legs. Mosquitos don’t limit their bites to humans. They will bite many other animals and seem to bite birds quite often, unlike bed bugs, who feed almost exclusively on human blood. That being said, mosquitos come in several different species. Those different species of mosquito have different preferences for where they get their meals, and some of them prefer humans over other animals. Bed bugs, on the other hand, have a highly specific diet. They much prefer human blood to that of any other host. 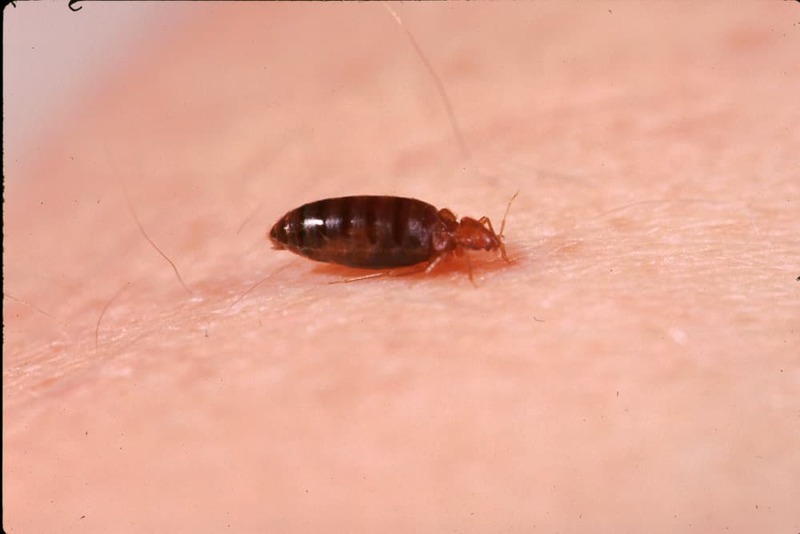 Occasionally, bed bugs do feed from other animals, but for the most part, they stick to humans. Their preference for human blood may be in part because humans make convenient hosts for the bed bugs, which cannot fly or jump. 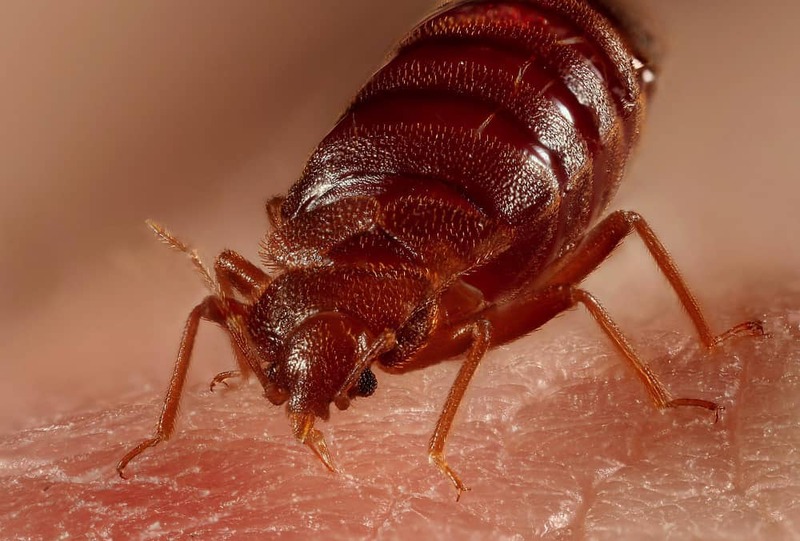 Human skin is an easier surface for bed bugs to crawl across than the furrier bodies of other mammals. Mosquitoes can fly and land on any part of a host’s body, making traveling across the host a non-issue for these pests. Only female mosquitos bite. They do this to provide nourishment to the eggs they lay. For bed bugs, feeding on blood is their only source of nourishment. Both male and female bed bugs feed on humans regularly. Despite mosquitos being visible to the naked eye, we are often bitten without ever knowing it. That’s because mosquitos are small and light, helping them to go unnoticed when they land on our skin. Also, mosquitos inject their saliva into our skin during the bite, and the saliva contains agents that numb the area so that we usually don’t feel it. However, you definitely feel the itching later. Mosquito bites look like a puffy pink welt. They’re a raised bump of irritated skin, usually circular in shape. Sometimes a small dot is visible in the center of the bite. The bites typically swell and become red and hard. 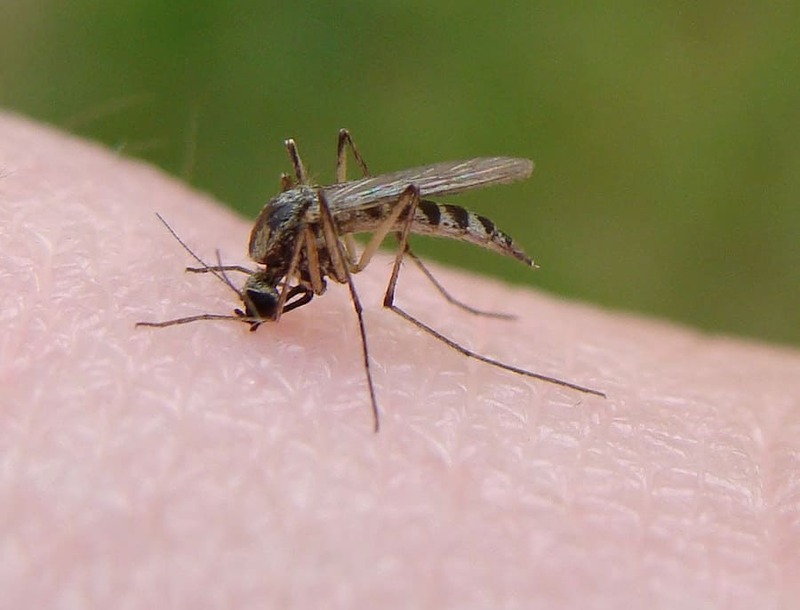 You can bring mosquito bite swelling down using a cold compress, or via various anti-inflammatory treatments, from taking a simple ibuprofen, to using a hydrogen water machine (results may vary). It’s easy to get multiple mosquito bites in quick succession. When that happens, the bites are usually randomly spaced from each other. Bed bug bites almost always happen without you seeing the culprit. Bed bugs have a sneaky feeding routine of waiting for their host to lie down or sit still, such as when you’re asleep or relaxed. That is why they are often associated with bed infestations. The truth is that the actual bites from bed bugs look pretty much the same as mosquito bites, although, luckily, bed bugs aren't able to spread disease. The bites usually appear as red bumps, but they're not normally as raised and puffy like mosquito bites (although they can raise slightly due to the skin's reaction, and everybody will present slightly different due to their individual body chemistries). Knowing that the bites look so similar, how are you supposed to figure out whether you need to treat your yard for mosquitos or treat your house for bed bugs? The difference is in the placement of the bites. Bed bugs tend to bite on areas of the body that meet with the mattress or pillow. Because they crawl, they may get under clothing to bite, unlike mosquitos, which do not tend to get inside clothing intentionally. The most noticeable difference is that bed bugs will bite in a row, making a straight line of bites. Even when mosquitos bite multiple times in one area, the bites will look like a random cluster, not a row. How the bites feel can also be an indication of which pest you are dealing with. Mosquito bites start itching right away. In fact, you’ll probably feel the itching before you find the bite. With bed bug bites, it’s the opposite. You’ll likely find the red spots before they begin to itch, which takes a few days. In either case, the initial bite itself usually goes unnoticed and isn’t too painful. It is possible to feel the initial sting of a mosquito bite, though. Neither bite should really be painful, unless you scratch the bites a lot. Scratching is a bad idea. It irritates the skin further and can lead to a skin infection, which is no fun at all. 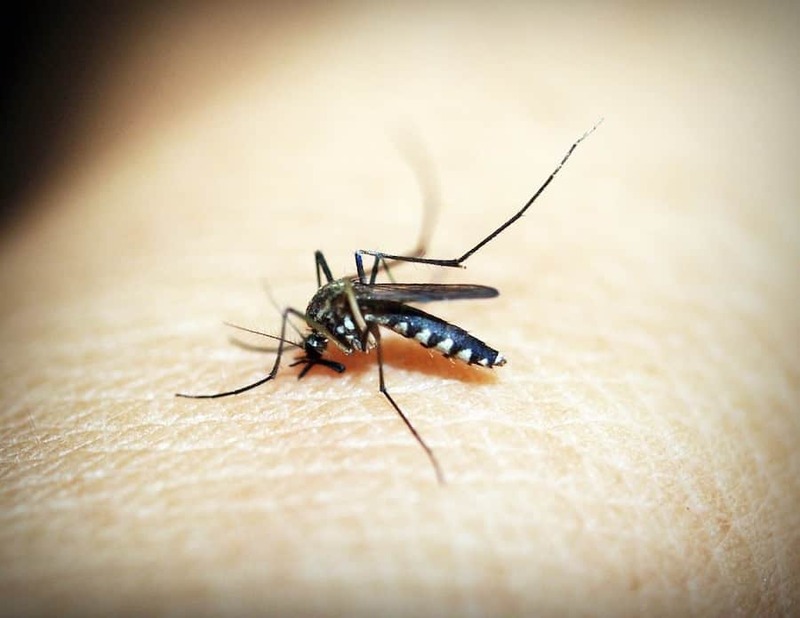 Of the two, mosquito bites are the faster healer. They will resolve on their own in less than a week. Bed bug bites are longer lasting. They can take a few days to even show up after you’ve been bitten, and they often last about two weeks. The amount of time for the bites to heal varies from person to person, however, and your bites may take as little as one week or as much as three weeks. Both mosquito bites and bed bug bites are fairly easy to treat. They require only good hygiene and over-the-counter topical treatments. Which treatment you need depends upon the symptoms you are experiencing. When you first recognize that you’ve been bitten by a mosquito or a bed bug, you need to clean the affected skin. All it takes is regular soap and water to help prevent secondary complications from the bite, like infection. You may also want to apply a moisturizer after washing. Dry skin can make itching worse, and bug bites usually come with some itching. To stop itching, you want to use something that will reduce the irritation and prevent you from scratching the area. Scratching temporarily relieves itching but leaves you feeling even itchier in the long run because of the skin irritation that scratching causes. Baking soda is an inexpensive itch reliever. You can even use the baking soda in your kitchen. Mix it with a small amount of water to form a paste and spread it on your bites. Alternatively, you can purchase a prepared cream made with baking soda. It’s a safe topical treatment that pretty much anyone can use, even with sensitive skin. Another gentle skin soother is aloe. Aloe vera gel make help to relieve some of the itching and soothe your irritated skin, helping the bites to heal faster. If the itching is really irritating, you may need a topical steroid instead. Hydrocortisone cream or ointment is a steroid that is available over the counter. It does a really good job of temporarily relieving itchy bug bites. You can also try covering the bites with bandages or tight clothing to protect your skin from scratching. If you scratched the bites, you may have caused an infection by breaking the skin and letting in bacteria. In that case, you’ll need to treat the bites to prevent the infection from getting worse or spreading. Topical antibiotic ointment is a good way to go. You can apply it and cover the bites with bandages to keep the ointment from getting on clothes or bedding. Antibacterial sprays are also available and don’t leave your skin with a greasy mess. Both ointments and sprays come in varieties with pain relief medication as well. These can be good for relieving pain caused by broken, irritated skin. Another important step to healing your bug bites is to ensure that you don’t keep getting bitten. With bed bugs especially, the more often you get bitten, the more irritating they can become. Seal up areas where pests are getting into your home and find out which pest is biting you to determine the right plan of action. In general, mosquitos can be easier to control than bed bugs. Mosquitos and bed bugs cause a lot of grief for people by being extremely efficient at finding human hosts to feed from. Their methods are quite different, with mosquitos usually landing on you when you’re outside or finding holes window screens on warm nights. Bed bugs, on the other hand, find their way in on used clothes, bedding, and furniture and settle into your home. With each of them being difficult to detect, it can be hard to know which pest you are dealing with, but if you pay attention to the signs, you can tell the difference. Even if you are unsure what kind of bite you have, it pays to keep the area clean and avoid scratching it. The bites will heal on their own, as long as there are no complications like infections. In the meantime, you can form a plan for preventing future bites and keeping pests away from your home. Determining whether your itching and spots is from mosquito bites vs bed bug bites is your first step to long-term relief.